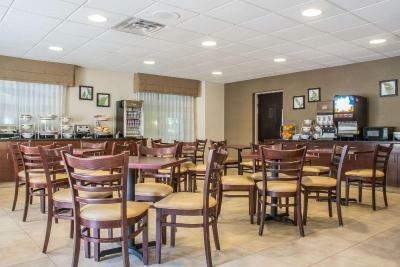 Lock in a great price for Sleep Inn Amherst – rated 8.6 by recent guests! Very friendly front counter staff. Room was very nice. Hotel staff were amazing and friendly the entire stay!!!! I loved how the staff was very helpful and polite. We really enjoyed our stay!! It was convenient to the highway and parking was good. The hotel was tucked away from the busy main road away from traffic noises. Oh what a,wonderful time. Staff was just so nice and helpful. The desk assistants were both the best. Will stay again. We liked the breakfast room had hot water for tea and had coffee and it was available to eat in other times. I’m gf and was glad there was nothing added to the scrambled eggs. Also able to have sausage. All staff we came in contact with were friendly. 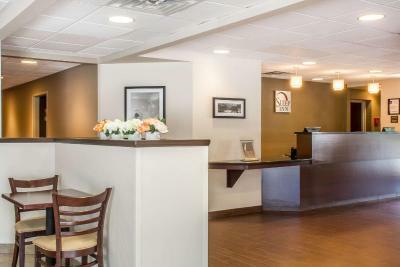 Sleep Inn Amherst This rating is a reflection of how the property compares to the industry standard when it comes to price, facilities and services available. It's based on a self-evaluation by the property. Use this rating to help choose your stay! 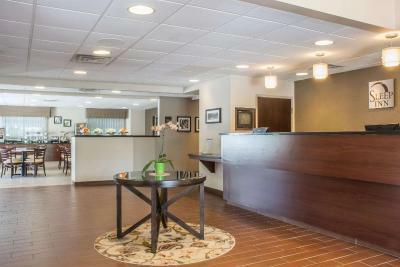 Centrally located in Amherst, New York, this hotel offers convenient amenities and easy access to several popular attractions including the stunning Niagara Falls and Buffalo city center. 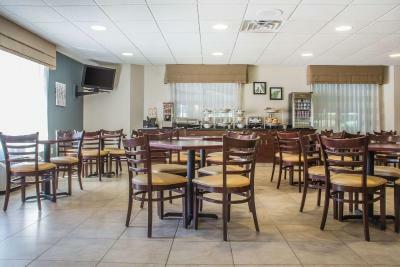 Sleep Inn Amherst is convenient to all major motorways in the area for easy travel to attractions. Seneca Niagara Casino and the starting point of the region's Niagara Wine Trail are just minutes away. Walden Galleria is 13 minutes' drive and Fashion Outlets of Niagara Falls are 25 minutes' drive. 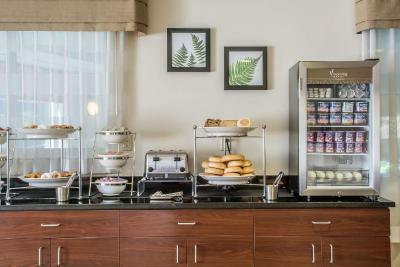 Wake up with a free deluxe continental breakfast buffet at Amherst Sleep Inn. Take advantage of the high-speed internet access and enjoy the indoor heated pool and hot tub. 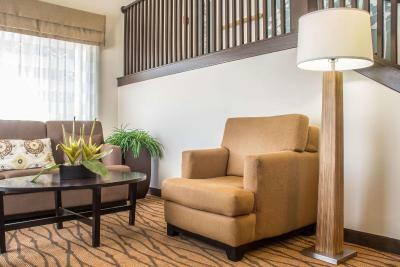 When would you like to stay at Sleep Inn Amherst? This room features cable TV, a desk, and coffee-making facilities. 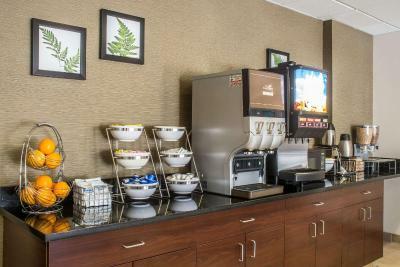 This accessible room features cable TV, a desk, and coffee-making facilities. 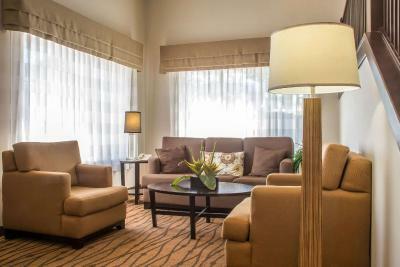 The room features air conditioning, heating, and cable TV. House Rules Sleep Inn Amherst takes special requests – add in the next step! Free! Up to three children under 21 years stay free of charge when using existing beds. Sleep Inn Amherst accepts these cards and reserves the right to temporarily hold an amount prior to arrival. Please Note: Rates are based on double occupancy, each additional adult will be charged an extra person fee per night. Please note, guests must be 21 years or older to check-in to this property. The only think was the mattress for the beds it was a tad soft, not great for my back. The breakfast in the morning was fantastic, lots of choices and food was fresh. The staff are really friendly. The room was clean and well maintained. I like how close we were to all stores to go shopping. I did not like the fact there were a group of under 16 year old girls in the pool in the evening yelling, splashing large amounts of water from the Hot Tub into the pool and being very roudy. No parents in sight. It was the cleanest Hotel I have ever stayed at. I have stayed in a lot. Everything was great as usual. There was nothing to dislike. My girlfriend and I have been coming to this hotel since 2012, and we have always had a good stay. It's always clean, and the staff are always polite. Keep up the good work folks. Bathroom shower had an odd odor in it. TV reception not very good. Satellite??? The air quality of the room. It was too stuffy. We had the window open but it didn’t do much. everything we needed was in room - very comfy and homey - Sitting room in lobby was nicely decorated for Christmas - pleasant to sit it early in the morning - waiting for out LATE riser. I found the beds a bit hard. Location, clean, breakfast and staf. The bed was lop sided and the floors were very dirty no change room for the pool and the roll away was very uncomfortable also no.bath tub.